Save the date and bring a friend to this year’s Open House at J.D. Sims Recreation Center! Tour our studio, meet your child’s dance teacher, and connect with other Moving in the Spirit families at this fun, festive event. • balloons, ice cream, face painting, and goodie bags! Open House will be held at Moving in the Spirit’s facility, J.D. Sims Recreation Center, located at 544 Angier Avenue NE, Atlanta, GA 30308. Note: Parking at J.D. Sims is available along the sides of the building. 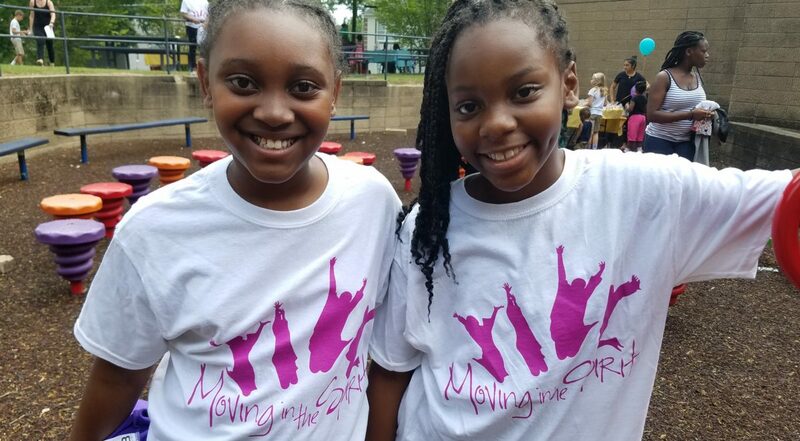 Moving in the Spirit is a creative youth development program that uses dance to help children and teens build the skills they need to thrive. We link our class structure directly to youth development goals, designed to transition children successfully into adulthood. We accept students ages 3-18, beginner to advanced. Open-level classes are available for all ages, and need-based financial aid available. Classes for the 2018-2019 school year begin on Monday, September 10.